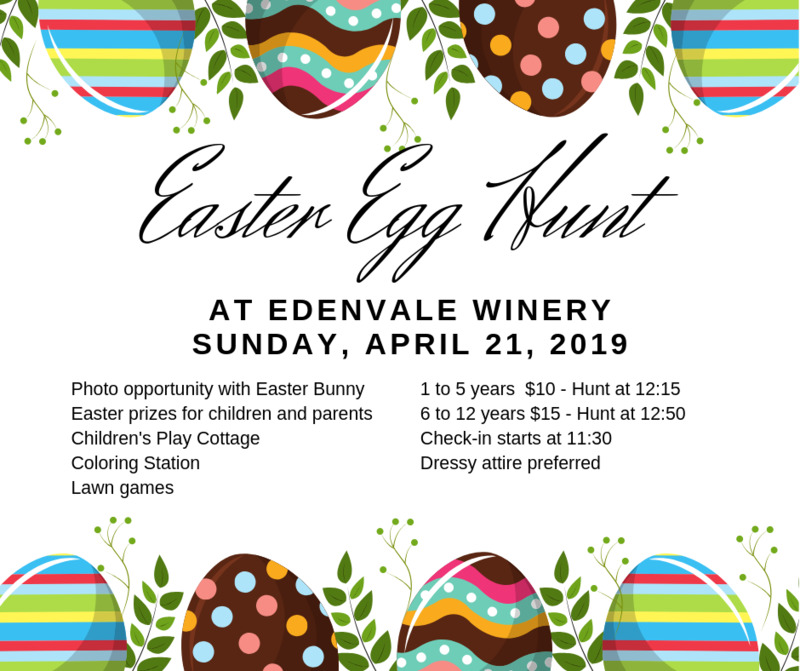 Children's Easter Egg Hunt in the beautiful Voorhies Mansion formal gardens at EdenVale Winery on Sunday, April 21. We have lots of family activities to make this a wonderful and special holiday experience. Dressy attire preferred as we have the Easter Bunny available for pictures. Lots of prizes and treats. Our tasting room will be open too. Parents can enjoy a glass of wine or mimosa! Check in at EdenVale tasting room starting at 11:30 a.m. Call if you have questions or special requirements. 541-512-2955 x2.